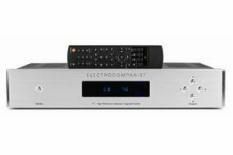 Electrocompaniet PI-1 review | What Hi-Fi? Norwegian electronics specialist Electrocompaniet is best known for glitzy-looking, sweet-sounding high-end kit. The PI-1 amp and the PC-1 CD player are its attempt to gain a wider audience. The PI-1 entry-level integrated amplifier, in the companies new Prelude range, mirrors the looks of its partnering CD player the PC-1. The company's traditional Acrylic fascia has gone, as have the gold-coloured control buttons. In their place comes a more modern appearance. Build and finish remain good, though features aren't the most extensive. There are four line level inputs, two of which are balanced XLR. So, unless you use adaptors or have a system with balanced sources, your options may be limited. There are also no tape or preamp outputs. The PI-1 is one for simple systems only. Balanced operation is a big thing for Electrocompaniet. Both the CD player and amp perform with more solidity and punch when used with this connection. In fact, we'd go as far as to say you should only consider these components if you intend to use them balanced. Once optimised, the PI-1 works well; both CD player and amp share the same natural flow. And the frequency balance is spot-on – no part of the frequency range stands out as overcooked or underdone. A power output of 50 Watts per channel will only go so far, but the amp will fill most rooms with ease, even if its absolute volume ceiling is less than most rivals. The main issues are similar to those of the PC-1 CD player: it needs greater dynamic punch and a more precise way of handling rhythms. The PI-1 is a decent attempt at producing a musically involving amplifier at this price level. The problem is that there are exceptional rivals that just do it better.